Having the ability to adjust your dampers will make all the difference on courses with a number of elevation changes. These adjustable dampers come with six 2.5g weights to allow you flexibility in your damper settings. 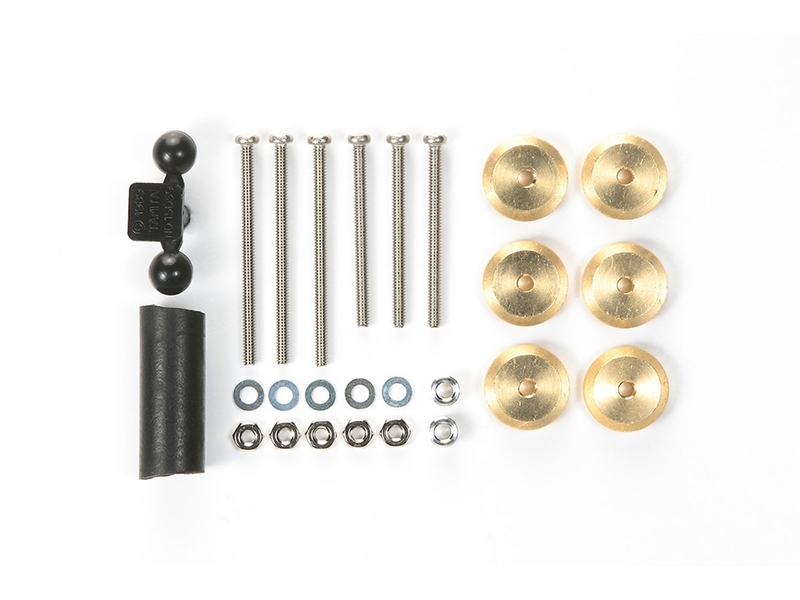 The item also includes stainless screws, aluminum spacers and more! •	Washers & Nuts are also included. •	Compatible with Mini 4WD and Mini 4WD PRO cars. Some bodies may require modification.